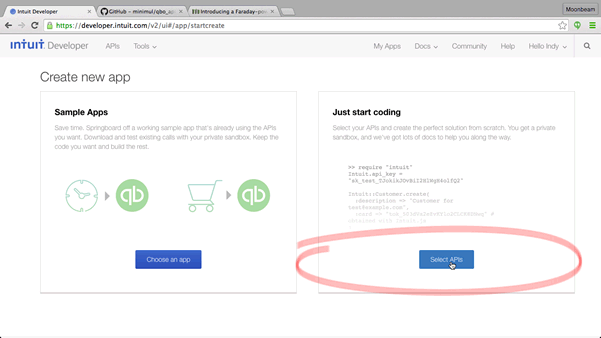 Ok, I made the arguments why the qbo_api gem is the "modern" Ruby QuickBooks Online API client but what is the best way to get started using it? I'd advise you to spin up the example app included in the library. Consumer key and secret? Keep following. First screen after creating a new account. Create an app with both the Accounting & Payments selected. 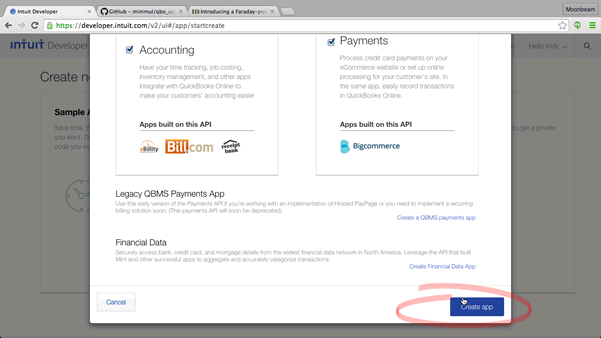 Although, Payments is not needed for the example it is turned on in the example app "Connect to Intuit" button. 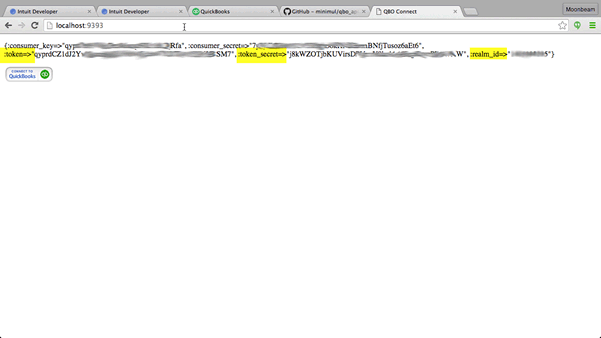 Go to the Development tab and copy and paste the consumer key and secret into the .env file. Copy the "OAuth Consumer Key" and the "OAuth Consumer Secret"
This section is at the 5:33 mark. 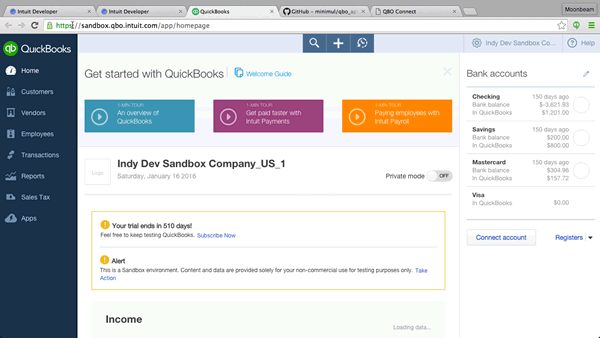 Use the Connect to QuickBooks button to connect to your QuickBooks sandbox, which you receive when signing up at https://developer.intuit.com. This section is at the 10:07 mark. 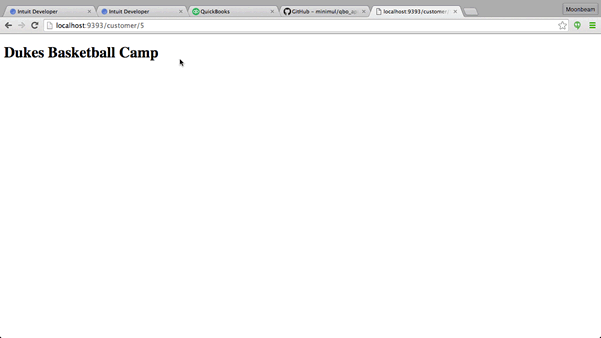 Click on "Go to company"
Here is your sandbox. Note: it is tied to your login and not the created app. Listen to me talk more about sandboxes on the screencast. 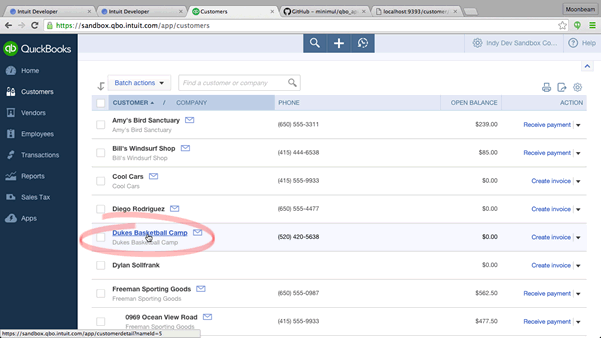 Click on "Connect to QuickBooks"
You will be presented with this view if you are already logged into your Intuit developer account. Otherwise, you will get a login screen before this view. 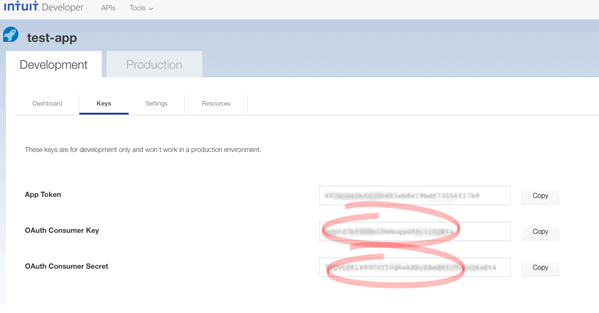 After authorizing you will be returned to the example app. 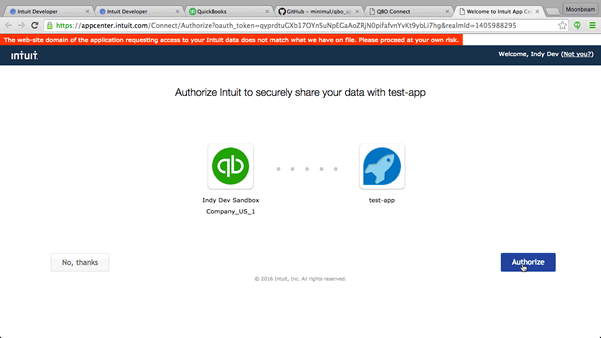 Your OAuth info will be displayed for convenience, although not needed for this tutorial. 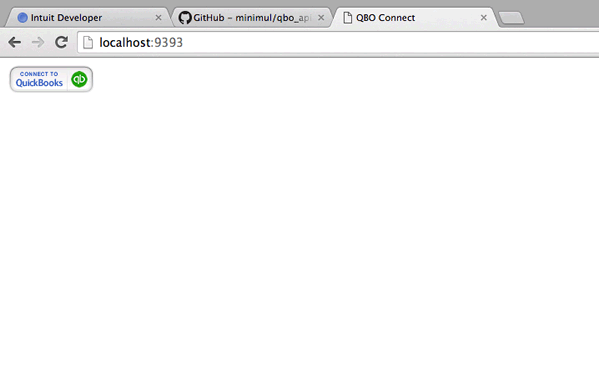 The token, token_secret, and realm_id are needed to initialize the qbo_api gem. Should get "Dukes Basketball Camp". Check out the code to see how it works. Dukes Basketball Camp is a sandbox customer. 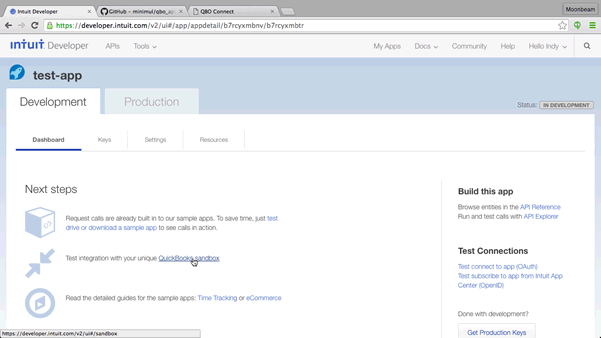 The fastest way to dig into the qbo_api gem is to spin up the example app. 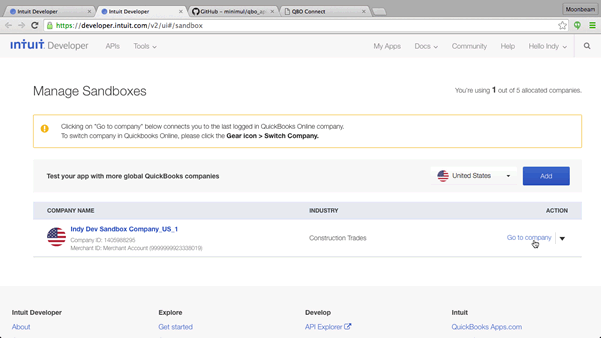 After you accomplish that take a look under the hood and you will be ready to integrate your app with QuickBooks Online.